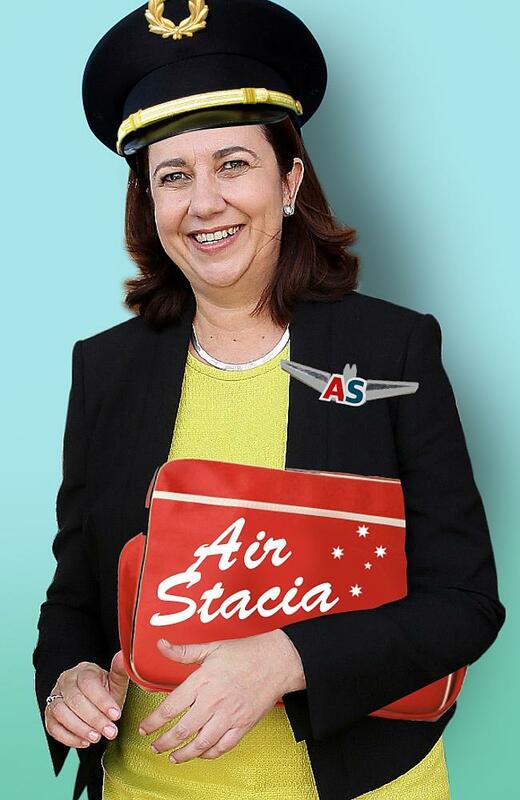 INCOMING Premier Annastacia Palaszczuk wasted no time familiarising herself with the trappings of her high-flying new office yesterday. Within an hour of being officially sworn in by Governor Paul de Jersey, she was settling into the leather interior of the official government jet. 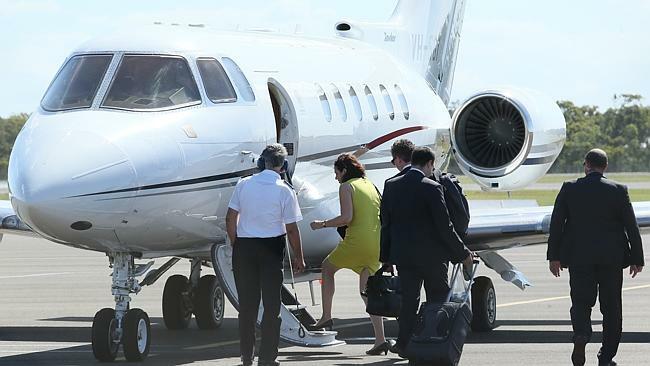 Ms Palaszczuk used the Raytheon Hawker 8050XP aircraft for her first official duty as premier – flying to Bundaberg for the funeral of former Labor minister Nita Cunningham. The eight-seater jet costs about $2500 per hour to operate. Opposition Leader Lawrence Springborg also attended the service, travelling in a private charter plane — also funded by taxpayers. It is understood the charter — booked several days ago before the election result was finalised — cost about the same as the government jet. However a return QantasLink flight to Bundaberg yesterday was available on Friday for just $391. Rules on the use of the government jet say alternative travel, including commercial airlines, should be used whenever possible, but time constraints for the premier mean that will rarely be a practical option. Opposition leaders should charter flights as ‘’a last resort’’ when scheduled services are not available or would cause them to miss a commitment. Labor repeatedly attacked previous deputy premier Jeff Seeney over the bills for charter flights to and from his Callide electorate, which cost more than $200,000 a year.